It seems the former jailbird can’t escape his troubled past. 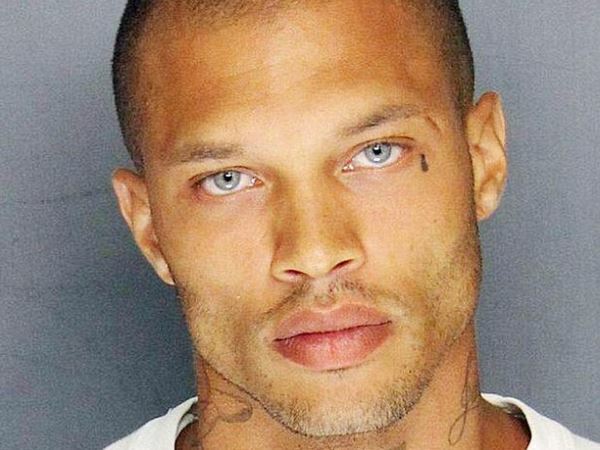 With his piercing blue eyes, chiselled jawline and striking features, Jeremy Meeks earned the title ‘hot felon’ after his mugshot was released by the Stockton Police Department in 2014. He had been found guilty of being in the possession of an illegal firearm and was sentenced to 27 months in prison. In early 2016, Jeremy stepped out of his jail cell and into a modelling career. But it seems the former jailbird can’t escape his troubled past. Jeremy arrived at London’s Heathrow Airport for the launch of a magazine in which he featured but had to make the lengthy journey back home to New York after being detained by officials.